Go more with a single charge, it learns how you like to use your phone so apps and services you don’t use as much aren’t a battery drain. Don’t worry about changing your brightness - your phone learns how you like to set it and automatically adjusts it, easy as pie! App Timers let you know when you’re getting close to your set limits, and app icons gray out when you reach those limits to help remind you of your goals. Set a daily schedule to get your phone ready for bad. Your screen fades to grayscale while Do Not Disturb silences the notifications for a restful sleep. You can activate Do Not Disturb anytime you want to disconnect. Xiaomi Mi A2 features a 5.99-inch (2160×1080 pixels) Full HD+ display which is protected by 2.5D Corning Gorilla Glass 5 protection powered by Octa Core Snapdragon 660 Processor. 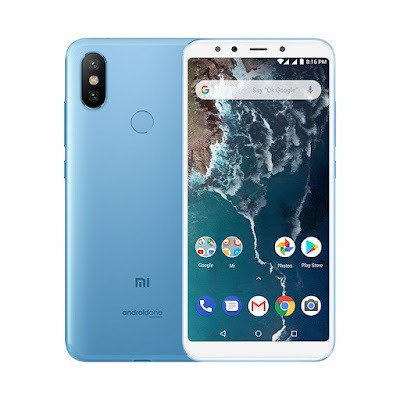 Xiaomi Mi A2 comes in Black, Gold, Lake Blue and Rose Gold colors priced at Rs 15,999 for 4GB RAM and 64GB Storage, 6GB RAM, 128GB Storage will launch in India for Rs 18,999.